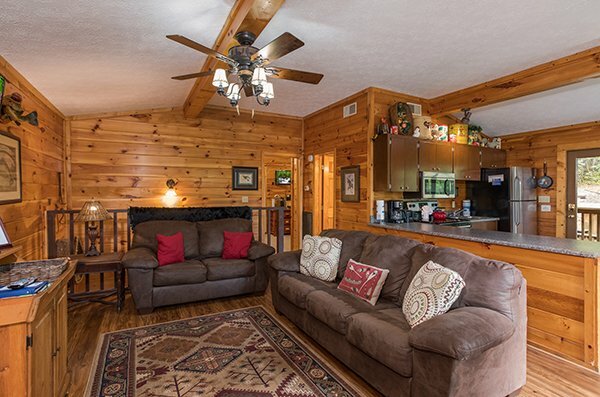 A BIRD'S EYE VIEW is what you'll have when staying at this lovely log cabin situated conveniently between Pigeon Forge and Gatlinburg just off the main parkway. BIRD'S EYE VIEW borders National Park Service land and has nice views of the national park, especially in the winter months. 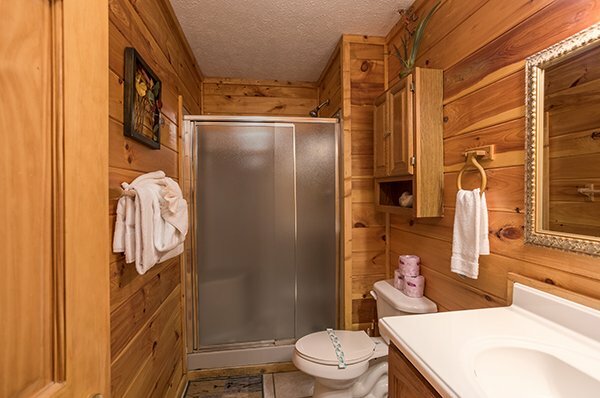 Located in a log cabin resort, BIRD'S EYE VIEW is still listed as semi-secluded with plenty of space around the cabin to enjoy. 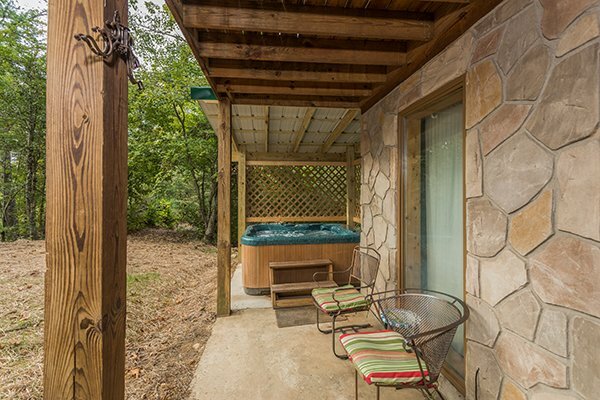 Outside you can rock away your cares on the covered porch, soak in the hot tub, or kick back by the outdoor fire pit. 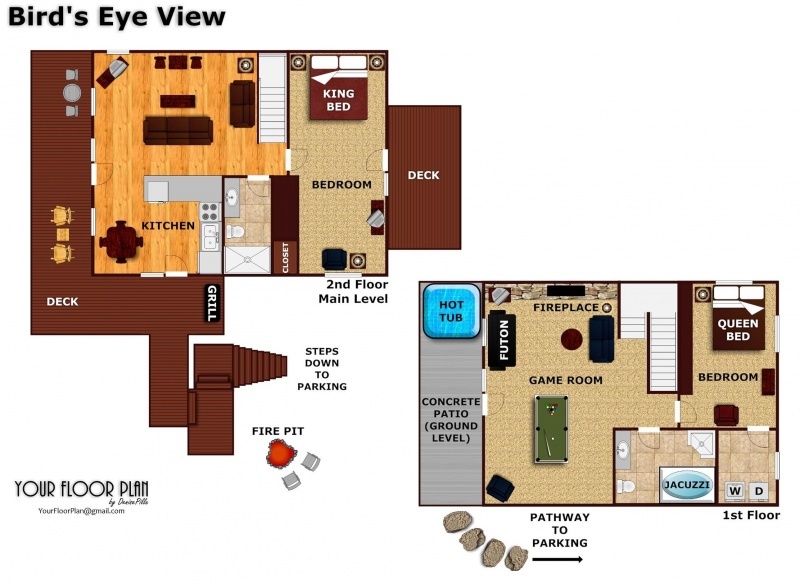 Inside you'll find 2 bedrooms, 2 bathrooms, and space for 6 guests. 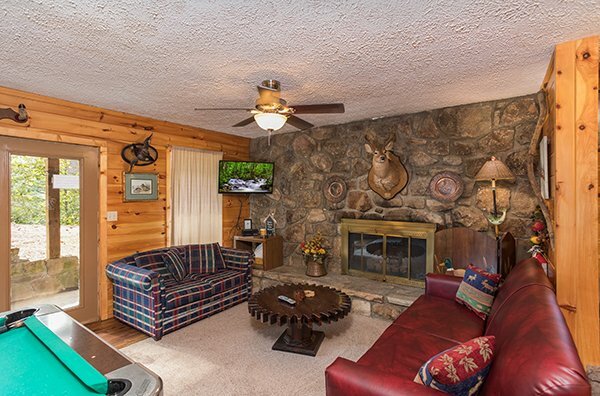 With two living areas, a real stone, gas fireplace, pool table, fully equipped kitchen and indoor whirlpool tub you'll find all the amenities you are looking for on your next Smoky Mountain getaway. 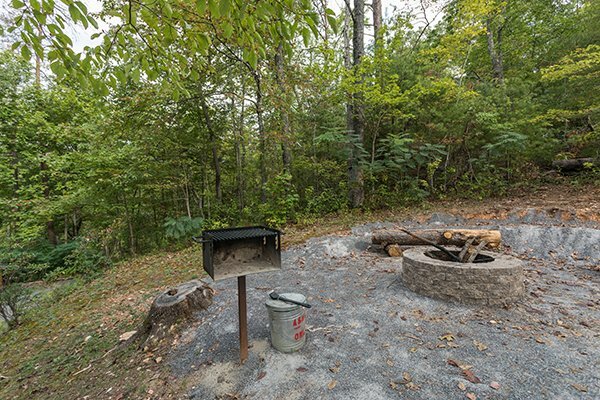 Call today and book your next trip to the Smokies at BIRD'S EYE VIEW! Would love to stay at this cabin again, my family loved it! I would like to stay at a pet friendly cabin next time so that we could bring our dog.. btw I slept amazing in the king bed during my stay! Wonderful time. The cabin was gorgeous and cleaned immaculately. The price was just right and we will surely be returning someday. We loved bird's eye view. Nice cabin in a peaceful setting. Got to see a black bear just a mile from the cabin. We would love to stay here again. 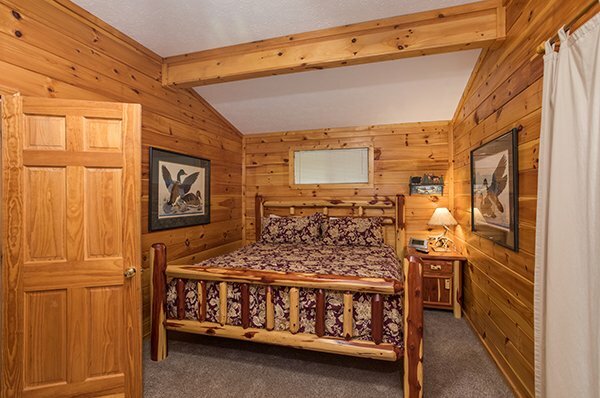 Clean, good quality cabin for a good price. Cabin was amazing!! It was clean and spacious! We will definitely use this company again and would love to rent this exact space again! Wow, this was great experience. So close to PF and Gatlinburg. Forget anything. You are within a 10 min or less drive. Cabin was semi secluded. 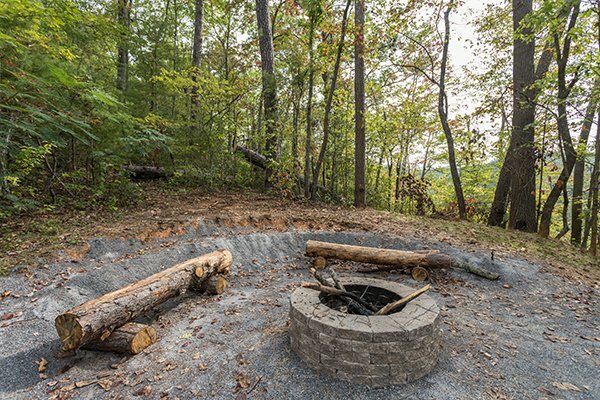 Amazing firepit, cabin very clean, rustic, and just awesome!! 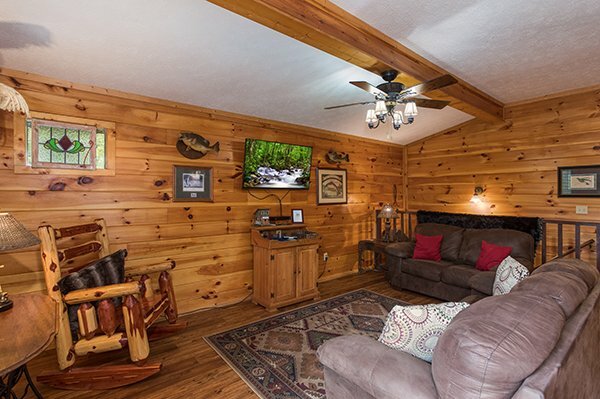 My family had a great time and the cabin was just what we were looking for with a blended family having two separate living areas worked out great. 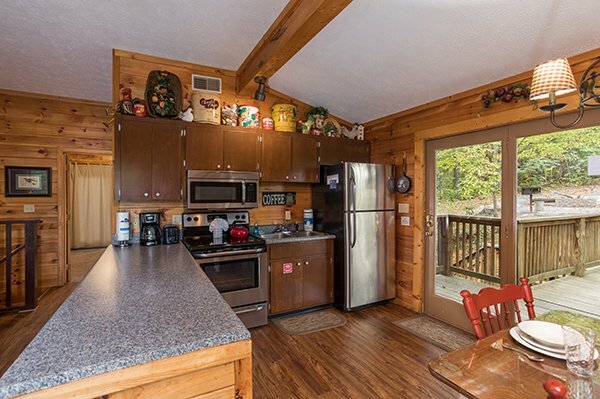 The cabin was in a great location to experience both Gatlinburg and Pigeon Forge. We left Gatlinburg and began talking about next spring break vacation. Thank you for the opportunity to spend time in a wonderful home and with my wonderful family. Liked the cabin, location was great. 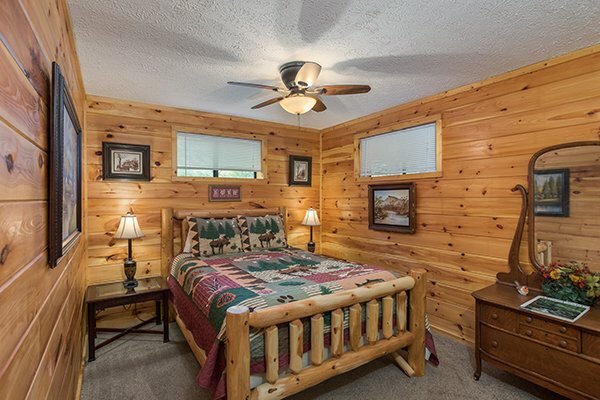 Had a great stay, cabin was clean and well maintained, and well equipped. only had one small issue with the door lock and maintenance took care of it quickly and without issue. Hope to stay with you all again next year. 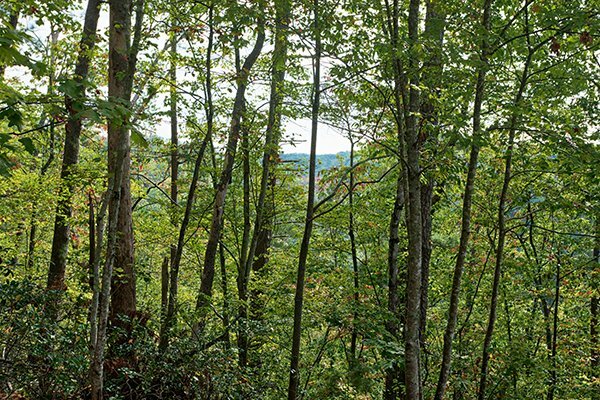 Since we had not been on vacation in 20 years and never to Gatlinburg/ Pigeon Forge we were unsure what to expect. It was easy to reserve and from arrival to departure we were impressed. This cabin and view were perfect for us. We will definitely be back and staying with Patriot Getaways again soon!!! 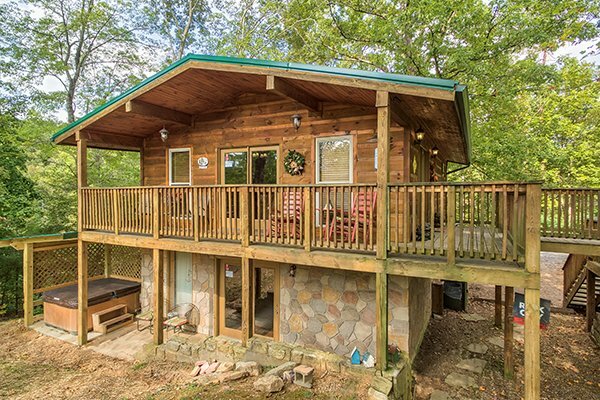 We had a fantastice time at your Bird's Eye View Cabin! 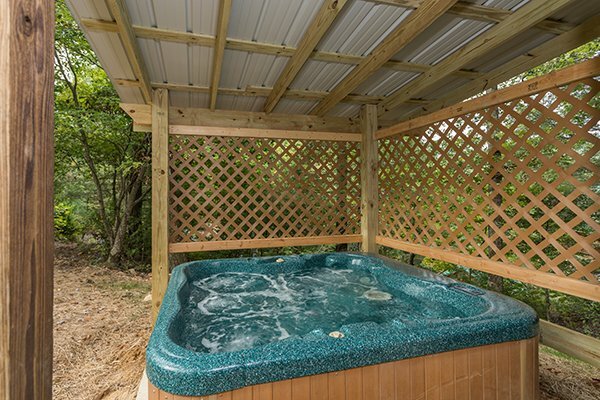 It was well maintained, clean, updated, and the location was VERY convenient for proximaty to Gatlinburg and Pigeon Forge. There wasn't too much of an (overlook view) but that was not an issue at all.We knew that when we booked. We loved it and hope to stay there again next year about the same time! Thank you so much!! We had a very relaxing weekend! The cabin was great! 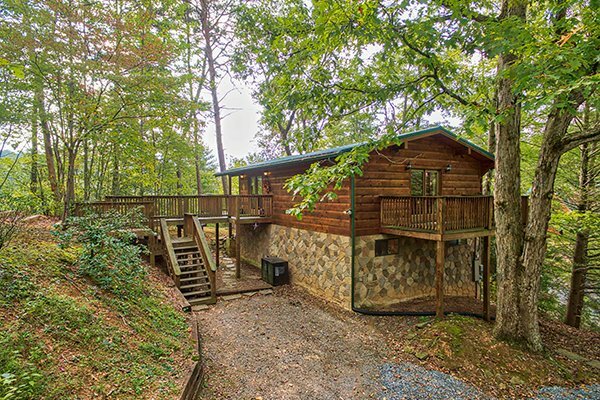 Wonderful location, cabin was so clean and welcoming as well as comfortable. Got a great deal, staff was very accomodating. I am actually thinking about a weekend getaway for just my boyfriend and I for labor day weekend because we cant wait to come back!Thank you for such a great place and service! I have stayed with APG multiple times over the years and have yet to be dissatisfied. I generally stay in Luxury to Luxury Plus rated cabins and was a little reluctant to stay in Bird's Eye View related to its Deluxe rating, but my options were limited. 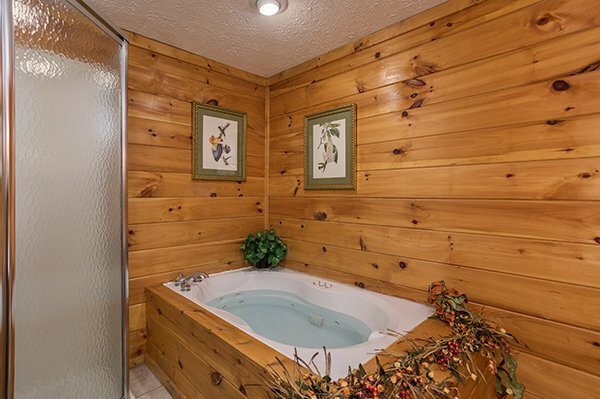 First of all, I feel that the cabin is under rated. 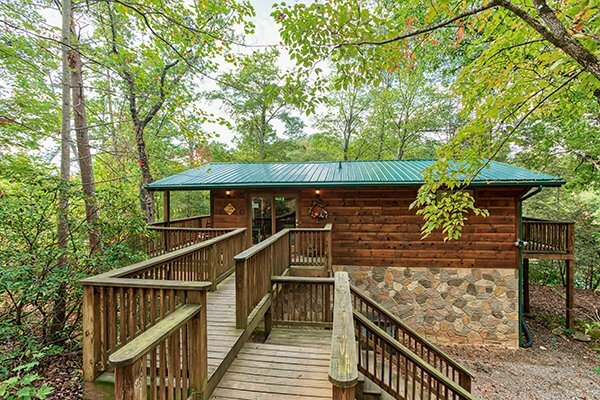 The picture on the APG website do not do the cabin any justice. 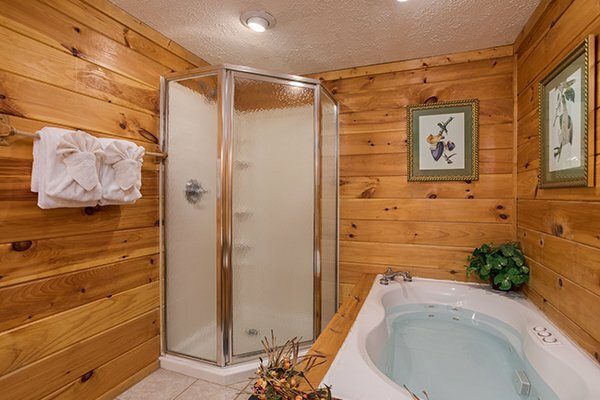 Also, the location of the cabin is superb in relation to Pigeon Forge and Gatlinburg. I will definitely be staying with APG again and will look for Bird's Eye View when it will accommodate the number in my party. 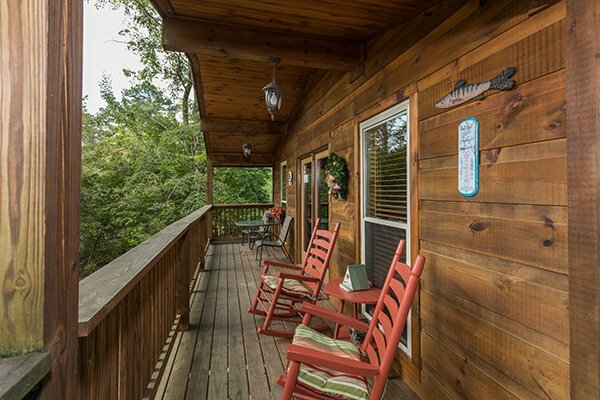 An overall exceptional mini vacation and cabin experience. 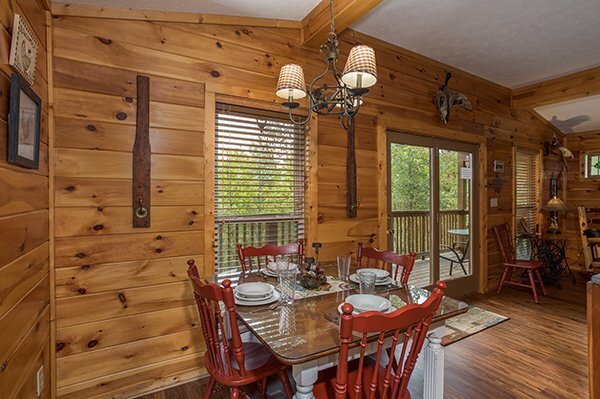 We enjoyed our 6-9 Oct 2014 Pigeon Forge get away and especially liked the convenience and use of your cabin. 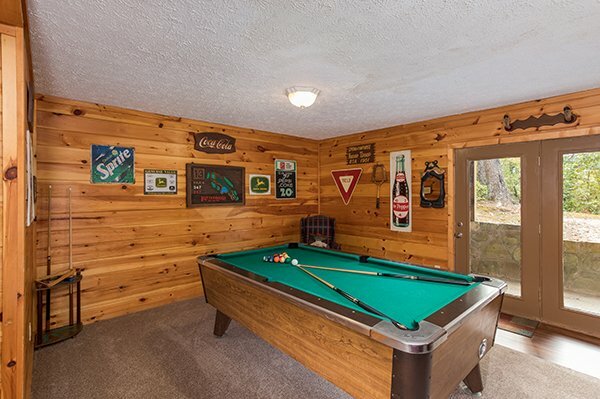 We enjoyed the overall atmosphere while our grand children enjoyed the outside area around the cabin as well as use of the pool table - which translates into a pleasant stay. Your staff was very accommodating and helpful in our cabin selection and tickets to the Dixie Stampede. 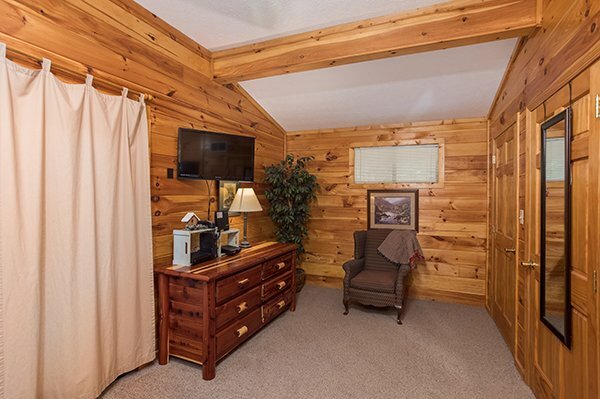 We are open to another future stay at Pigeon Forge.